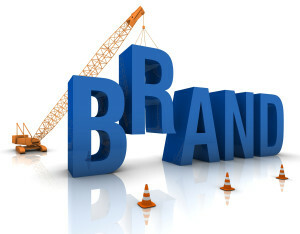 Business brand is one of those words that we hear every day in one form or another. Everyone from website developers to social media experts to business bloggers write about the critical need for an effective brand. With everyday life moving at faster-than-light speed, an identifiable, reliable and recognized brand is necessary to thrive in the new millennium. When your company has a strong brand, you build more credibility, you have more market influence, and a stronger ability to motivate customers to purchase from you. But a brand does not follow the rules of ‘if you build it, they will come’. It must be planned, developed, targeted, promoted and dependable. Combining your brand development with print marketing will boost each of those factors. Start by asking yourself, what does ‘brand’ mean to you? What does ‘brand’ mean to your target market? Each item will contribute to your brand and serve different functions. Know where you are in your business growth and sales process to best implement the effectiveness of each product. In general, they’ll support your products and services; they’ll identify with your customer service; and may even define the personality of your company and employees. While business branding is the big must have when it comes to your company’s success, integrating print marketing into every touch point makes building your brand easier and more effective. Make print products such as business cards, brochures, presentation folders and more an ongoing resource for your branding success.